There are too many tequila brands in this world. While it’s certainly not unprecedented for a single distillery to put out more than one brand, no one’s run away with it quite like they have in Mexico. There are roughly 140 active distilleries in Mexico putting out, as of March 19th, 1633 different brands, most of which come in a set of blanco, reposado, and añejo, and a weighty proportion of which are bad. There’s an embarrassing amount of celebrity brands, there are the slickly marketed giants and the bottom scraping mixtos and a bewildering array of products that come in oversized glass firearms… so the question, “what makes this bottle special?,” for tequila, can be a particularly difficult one. I say that to say this: one of the nice things about Casa Noble, out of the Cofradía distillery just outside the town of Tequila, is that they make that question extremely easy to answer. 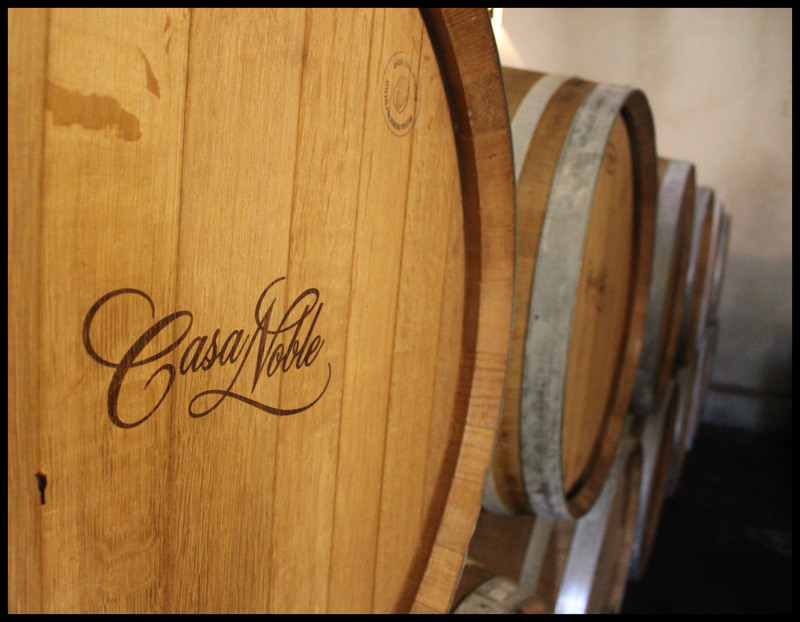 Casa Noble has history stretching back to the 1770s, but has existed in its current form since 1996. Jose “Pepe” Hermosillo’s family has been in the tequila business for seven generations and affiliated with Cofradía for 70 years — it’s all a bit vague as to exactly what and who and how — but what’s important is that almost 20 years ago he co-founded Casa Noble as we know it today. Whether in response to the colorful homogeneity of the tequila aisle or in anticipation of it, Casa Noble takes great care to set themselves apart, claiming not one but five unusual or unique distinctions: it is a (1) triple distilled, (2) kosher (3) organic tequila that’s been (4) certified Green by the Mexican government, and (5) aged in new French oak. Most tequila is only double distilled, which is, for the most part, a good thing. Very generally speaking, the more distillations, the higher alcohol proof, and the more flavor is stripped out of the product. So the designation of triple distillation is a strange one because it is simultaneously attracts novices and repels aficionados. However. The speed and quality of the distillations is exponentially more important than their number, and Casa Noble’s three passes take the spirit only up to 57% or so, which is industry standard. They take three runs to get to where most people get in two. The kosher rules for spirits are predictably silly but don’t dictate any big change in their methodology. I think they have something to do with the lunar cycle, but the “this is stupid” voice in my head actually drowned out Dave’s explanation, and I lost the salient details. What it really means is that production in the entire Cofradía distillery has to shut down and wait for rabbis to come poke around and give it their OK.
Casa Noble began pursuing an organic certification about 10 years ago, and finally got it in 2009. They are one of only a few organic tequilas, and this is more significant than it may at first seem. They court USDA certification through the stringent California Certified Organic Farmers (CCOF) organization, which includes all the normal rules in addition to a tedious litany of their own (your fields must be >1km away from major highways, lest an errant inorganic seed fly off a truck and plant itself in your land, etc.). Why does this matter? Because of the care they are forced to take with their fields. When you can’t apply the hammer of modern biochemical science, you really need to look after your plants. The agaves are stressed and the yield is smaller, but Casa Noble believes this makes a more complex, dynamic spirit. This doesn’t mean so much for flavor, but it gives an indication of where their priorities are: they have a modern water treatment plant on the grounds, so all the waste water from distillation, all the otherwise toxic fusel alcohols, and all the compost agave fibers get treated and returned safe to the land. Which is… you know… nice. Almost all tequila, when aged, is aged in used bourbon barrels, because the bourbon industry gluts the market. Bourbon, by law, must be aged in a brand new white oak barrel each and every time, which is wasteful on a uniquely American scale, but has a fringe benefit in that tequila, scotch, rum, and everyone else gets once-used barrels at absurdly low prices (think somewhere around $50, compared to somewhere around $1000 for new French oak). French “Limosin” oak is toasted instead of charred and has a tighter wood grain, and after time, this expresses itself through the tequila with flavors of bitter chocolate, cinnamon, and vanilla. While I generally prefer the reposado of most brands, Casa Noble is one of the few tequilas I think, for the most part, gets better as it gets older. Casa Noble is all estate grown, from some 6500 acres hosting about a million plants. Their land is in Uzeta reigon of Nayarit, right on the border of Jalisco, and agaves are harvested between 10 and 14 years for peak ripeness, on the long side of standard (though possibly because of that no-chemical approach). Cofradía keeps 5 brick ovens, where they steam-cook the agaves for about 36 hours to release all the juices. There’s a drain in the oven as well, so to not lose any of the precious “oven-honey” that sags out of the hearts when they’re cooked. Piñas may keep the precious sugary nectar but they are still essentially wood, so they need to be crushed. Casa Noble has an unusual crusher, a long narrow 800rpm combination screw/spike – the agaves are broken apart with the screw, then fibers separated by the small narrow fan-like blades, which was designed to extract the juice without pulverizing the wood grains. Less overall violence means less methanol, which means less blindness. 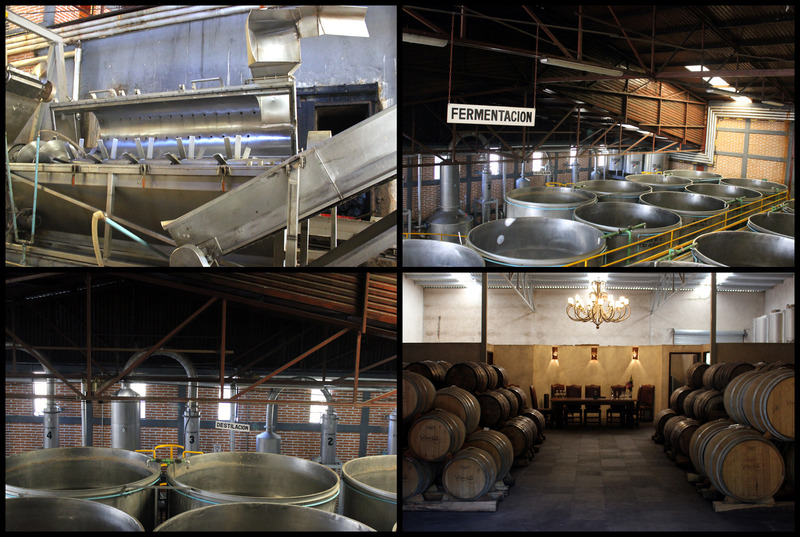 Left to right, top to bottom: (1) the agave crusher, (2) fermentation tanks, (3) stills, (4) their combination barrel room/tequila church. They keep eighteen 18,000L fermentation tanks, and like almost everyone else, they ferment using a proprietary yeast. It takes some five days before the low-alcohol agave brew shipped to the stills. Cofradía has five total stills but only Casa Noble is only distilled in three passes – the first run through what they charmingly refer to as “the destroyers” gets the spirit up to somewhere around 25%, then the second pass and third pass on smaller stills, ultimately capping out around 57% ABV. Again, not only is it unusual for a tequila to be distilled three times, it’s unusual for a triple distilled product to only be distilled to 56% — usually people distill higher than that, as the whole idea is to further purify (read: remove flavor from) the spirit. I’d be intensely interested to taste a twice-distilled Casa Noble, but we don’t get everything we want. The blanco – they call it “Crystal,” because they know how to market as well as anyone – is unaged. There’s some vanilla, but most sweetness is distinctly baked agave sweetness. Mint and herbs (thyme?) and a stronger note of black pepper. It’s not very showy and my least favorite of the lot — a great (if expensive) mixing tequila, it’s certainly not bad, but I get the sense that it was built to be aged. The reposado is aged 364 days, exactly one day short of it being a technical añejo, in some of their used barrels. The French oak influence sets itself apart here – you get bitter chocolate, baking cinnamon and faint vanilla notes to compliment the sweet baked agave flavor. The reposado is phenomenal. 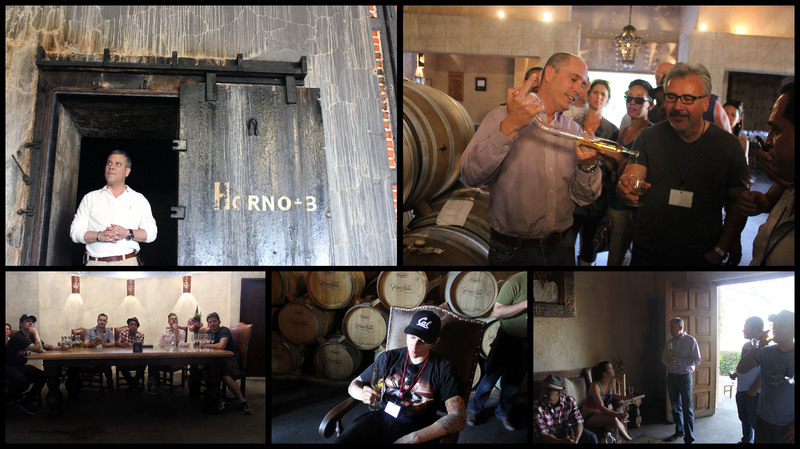 The añejo sleeps two years in brand new French oak barrels, and is both sweeter and darker/richer than the reposado. Here, it’s bittersweet chocolate that shifts beneath firm oak presence. The wood mutes it a bit, turns the volume down: it coaxes more vegetal notes out of the agave. Bitter cinnamon. Not much left of the vanilla, but it’s there. Long chocolate finish. The five-year añejo is a single barrel, extra aged gem. Mine was the barrel selected by Hi-Time liquors in Costa Mesa, and it’s utterly decadent. The bitter chocolate turns sweet, along with rich, buttery oak and vanilla flavors weaving in and out. Rich rich rich, like buttery 80 proof agave chocolate. Remarkable. And bonus: Casa Noble Joven, *EDIT*: a blanco aged for a scant 8 weeks in French oak (thanks, Dave, for correcting me on this point): 51% ABV. The heat helps the overall intensity of flavor. Chocolate and earth. Grassy spice, mace and maybe nutmeg. Sensation is a very dry, herbal chocolate. This was my second time visiting Casa Noble, and the hospitality they showed us I can only describe as legendary. Thank God they make such a good product. It would be very difficult to be unkind to them. Awesome blog entry! Just small comment though: the Joven is a SIngle Barrel product, and it is a Blanco that is rested for 8 weeks inside a French white Oak Barrel (Taransaud) with a light toast, not a blend. Thanks for the great details on this article! No, thank you. Seriously. For the facts and the hospitality both. Looking forward to next time.